Your celebrations at FHR promise to be the extra- ordinary and beautiful reflection of you. The striking landscapes and sophisticated setting of the resort becomes the canvas to create your celebrations- a memory for a lifetime. Whether enveloped in unforgettable warmth of the ballroom, or majestic scenery of the course with Shivalik Hills in the backdrop, every detail of your event will convey your personal style- unveiling the masterpiece celebration you have always imagined. Everyone has the spirit of adventure embedded somewhere inside. The need is only to push ourselves a little in order to live life to the fullest. Adventure, not only helps us to cope with stress but also increases our mental and physical endurance. Forest Hill Adventure Zone caters to those who have an affinity towards the wild, for those who are always yearning for something different. 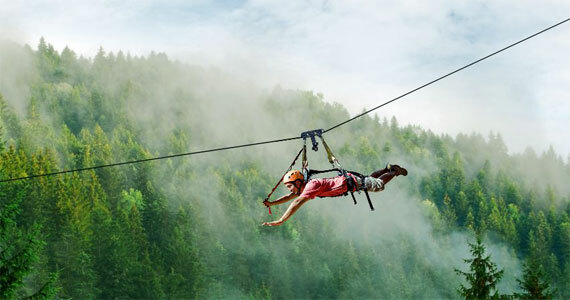 At the Adventure Zone, we have everything that an adventure lover must be looking for. May it be Trekking, Hiking, Mountain Biking, Angling, Treasure Hunting, Boating, Bird Watching, Animal Rides, Archery, Night Safari or just dancing around the Bonfire. Forest Hill Resort © 2018. All Rights Reserved.